The 2017 Mercedes-Benz GLE SUVs boast a vast array of engine choices, and it all begins with the Mercedes-Benz GLE 350. With a powerful V6 engine, several features installed as standard to boost performance, and different packages that you can add on to help you along the way, the 2017 Mercedes-Benz GLE 350 takes performance to a whole new level. Imagine how thrilling it will be to cruise through John’s Creek behind the wheel of this sleek luxury SUV, knowing all of its systems are working in your favor to be a top performer for the thrill-seeking side of you. Allow RBM of Alpharetta to show you what’s in store! Under the hood of the 2017 Mercedes-Benz GLE 350 is a 3.5L V6 engine that generates a capable and confident 302 hp and 273 lb-ft of torque. This is delivered via a seven-speed 7G-TRONIC® automatic transmission to the rear wheels, but 4MATIC® all-wheel drive is also an option. What’s more, the engine has an automatic start/stop technology program that helps you save fuel when you’re on the road. With rear-wheel drive, fuel economy estimates come in at an EPA-estimated 18 mpg city and 23 mpg highway, and the latter drops to 22 mpg highway with 4MATIC® all-wheel drive. In testing with Edmunds, the latest Mercedes-Benz GLE 350 shined, sprinting to 60 mph from a halt in 6.8 seconds. With all of this in mind, it’s clear that the 2017 Mercedes-Benz GLE 350 is an optimal choice when it comes to performance—and it’s only the first model in the lineup. In addition to the impressive powertrain on the 2017 Mercedes-Benz GLE 350, there are numerous features geared toward improving performance, along with several packages that incorporate even more amenities. For example, all models come with 19-inch alloy wheels, as well as a suite of LED lights for ultimate visibility on the road. A standard backup camera also helps with reverse maneuvers, and there are countless safety technologies meant to assist with your drive each and every day, and you’ll get standard SmartKey with KEYLESS-START®. Tack on the Premium 1 package a navigation system to get you where you’re going with ease. the Premium 2 package adds adaptive LED headlights and automatic high beams. The Premium 3 package gets you adaptive cruise control and a self-parking system. Finally, you can opt for the Exterior Sport package if you’d like larger 20-inch wheels. No matter how you outfit your 2017 Mercedes-Benz GLE 350, though, you’re in for a treat once you’re behind the steering wheel. 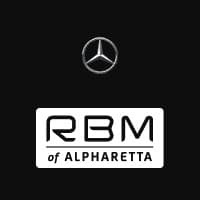 Get in touch with RBM of Alpharetta today to schedule your test drive of the 2017 Mercedes-Benz GLE 350! We’ll get you out on the road in this model at our dealership, located at 345 McFarland Parkway in Alpharetta, GA. We look forward to working with you!